individuals who have allegedly been tortured were available for people to sign and we secured the magnificent total of 267. It was the first time out for the torture wheel which is modelled on the infamous wheel used by the Philippine police. 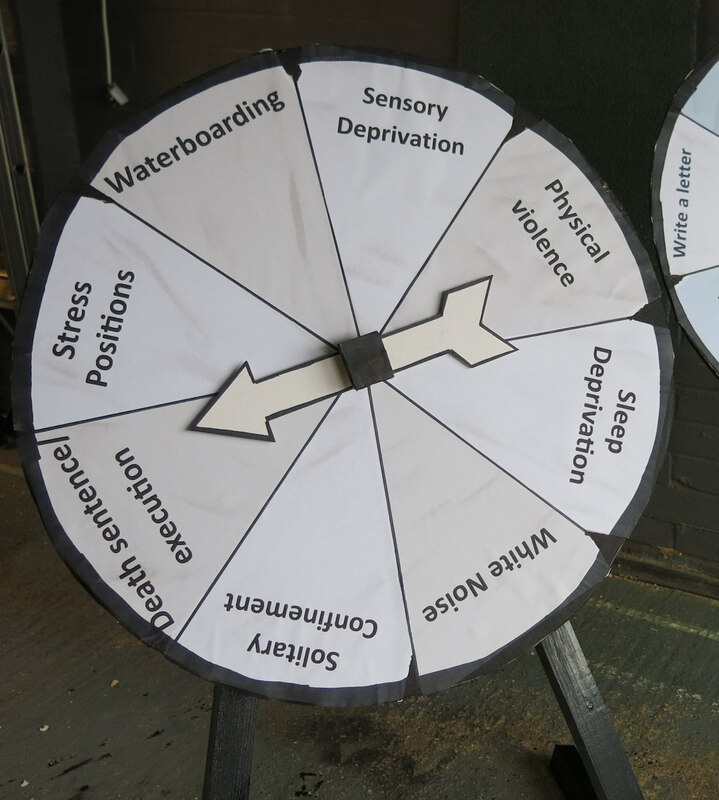 Various forms of abuse are put on a wheel which they spin to decide on what method to use on a victim. Although we achieved a good response, many refuse to sign and one person ventured the opinion that ‘they must have deserved it.’ Torture is widely used around the world and is practised in 141 countries despite nearly every nation having signed the UN protocol against its use. The cards will be posted over the net few days to the relevant authority where the victims are held. Don’t forget the Salisbury Arts Centre film on 4 December.